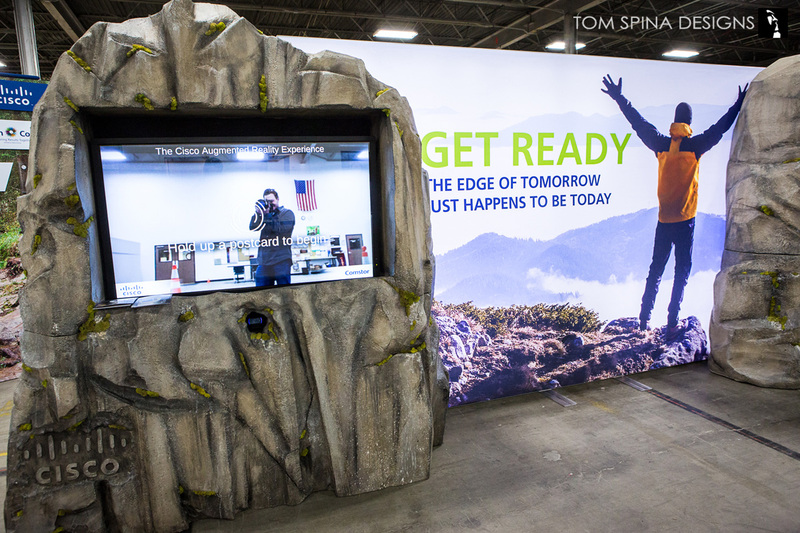 A set of custom carved foam mountain props for a Cisco Systems trade show booth. 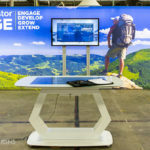 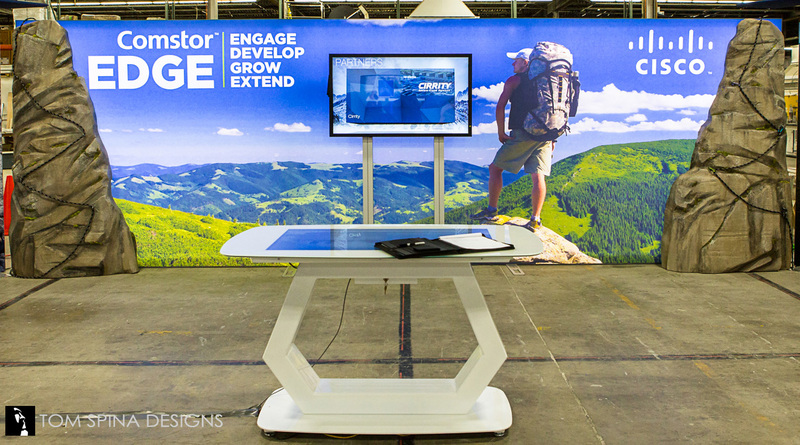 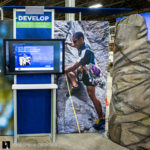 When creating a trade show booth display, companies are looking for something out of the ordinary and eye-catching to entice buyers into stopping. 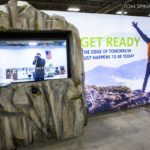 For this booth the exhibit design company wanted to use the theme of “the edge of tomorrow” so they contacted us to create several free standing faux stone foam mountain props to resemble rocky cliff sides. 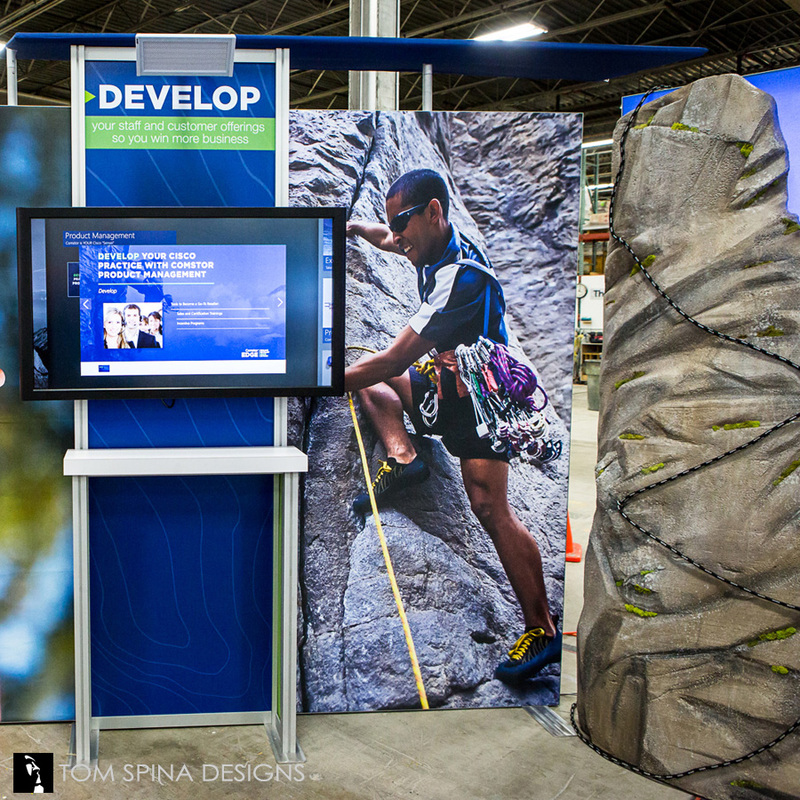 To ensure that what we were sculpting would fit their needs perfectly, we begin each of our foam or trade show booth projects with several detailed discussions as well as going over concept art that our client may have generated (or creating some if the project calls for it). 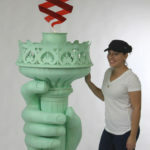 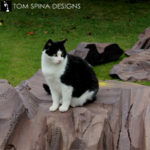 We make sure that that we have all details on anything that they need to incorporated into the foam prop sculptures. Some of these specific foam mountains had to house cameras, wires, computers and a fairly large television screens which required steel mounting. 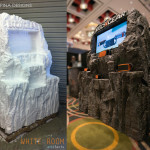 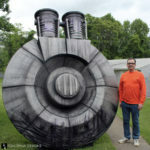 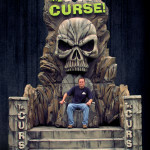 Once the designs were finalized, lead foam artist Rich Riley hand carved each mountain prop from EPS foam, a standard in the trade show and event prop industry. 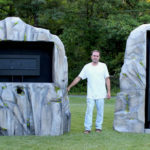 When the pieces were fully carved they were coated with a hard plastic-like spray coating called polyurea, which added to the rocky texture while also adding stability and toughness to the props. 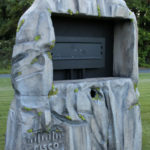 Each sculpture was given a realistic paint scheme consisting of multiple layers of color and aging, topped off with some bits of faux moss as a finishing touch. 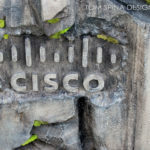 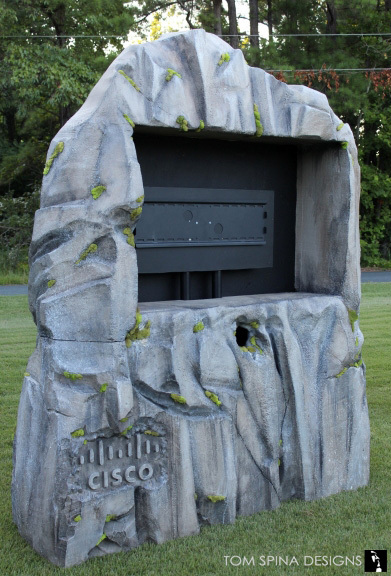 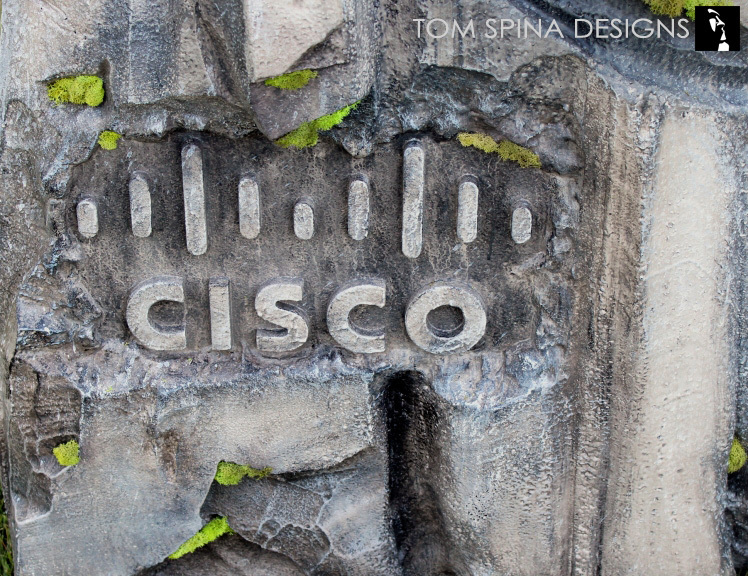 Since the mountain prop that was holding the horizontal LCD screen was a focal piece of the booth, we added Cisco’s company logo into the sculpture. 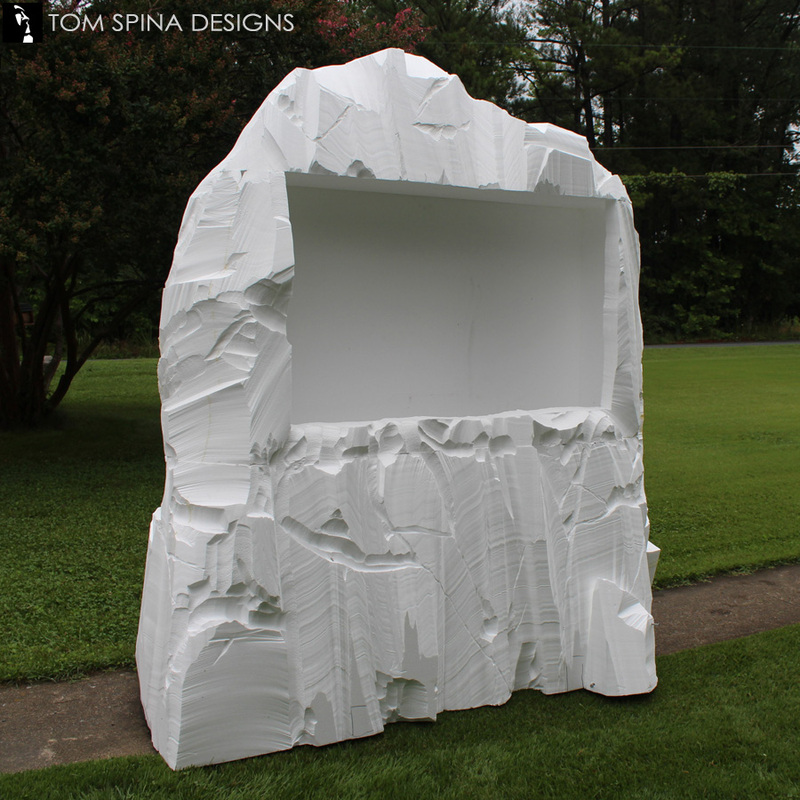 By carving it to look like stone we clearly displayed the logo while incorporating it into the design of the entire booth.